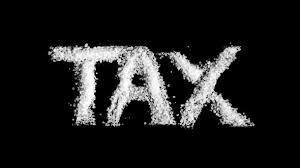 The Huffington Post published an article that points out some of the contradictions contained in the freshly approved “sugar tax” that the British Government announced to be put in place in April 2018. According to Chris Hall who wrote the piece, the tax is misconceived for a series of reasons and he calls into question whether it can succeed in fulfilling its designed objective: tackling the obesity crisis that runs rampant across the UK. The article critiques the new measure along two main lines of argument. First it reminds that despite the common belief that links sugar intake and weight gain « the actual weight gain associated with sugary drinks is in fact ten times less than was originally theorized, and actually, less than 2% of weight gain can be attributed to drinking sugary drinks ». Secondly it argues that in order to have any meaningful impact any measure aimed at fighting obesity should have a more comprehensive approach that addresses the unhealthy eating patterns of the British population; yet the tax doesn’t even include some sugary drinks that contain as much if not more sugar than those affected by the tax, like juices and milkshakes, says Hall. The article concludes that overeating habits and a the lack of physical activity especially, rather than sugary drinks, are to blame for the obesity crisis.